Metropolis - Maria Robot - Aurora Fantasy Box. Mr. Barlow - Salem's Lot - Aurora Fantasy Box. Willy Wonka - Aurora Fantasy Box. 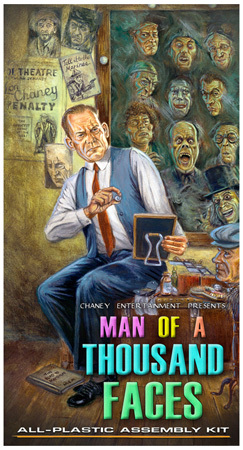 Man of a Thousand Faces - Aurora Fantasy Box. 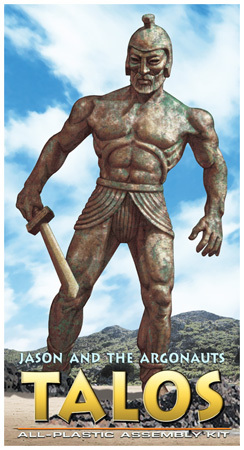 TALOS - Jason and the Argonauts - Aurora Fantasy Box. Cavorite Sphere - First Men in the Moon - Aurora Fantasy Box. Liberty Taylor's Discovery - Planet of the Apes - Aurora Fantasy Box. Time Tunnel - Dr. Ann MacGregor - Aurora Fantasy Box. The Cabinet of Dr. Caligari - Aurora Fantasy Box.